Plastic headlights can yellow and dull from UV exposure, resulting in a dimmer beam at night. Dim headlights at night can be dangerous. A few years ago, one of the editors tackled the problem with a “home-brewed” method. The result was pretty good, but the haze came back after a year or so. This time around, she decided to see if a commercial product would give a better or longer lasting result. The product she picked for the job was the Meguiar’s Heavy Duty Headlight Restoration Kit. We took a FirstLook at the kit last March. We just never got around to using it. The Headlight Restoration Kit comes with all of the bits (two different grades of sanding pads, a liquid polish, AND a wipe-on UV protectant) needed to sand, buff, and polish the plastic cover back to clear. The biggest difference between this restoration and the first one may be the addition of the UV protectant. We will see if this prevents the plastic from yellowing as quickly. The first step in prepping the headlight cover for restoration is clean it and taping off the surrounding area. We used painter’s tape because we know pull off easily and won’t damage the finish. The next step is sand the cover using first the 1000 grit, followed by the 3000 grid. The buffing step is done with the yellow buffing pad attached to an electric drill. We used a variable speed corded drill as this gave us the best control without any worries about running out of power half way through the job. Note that there is no need to press hard with the pad. Just apply the pad to the cover and let the polishing liquid do its thing. 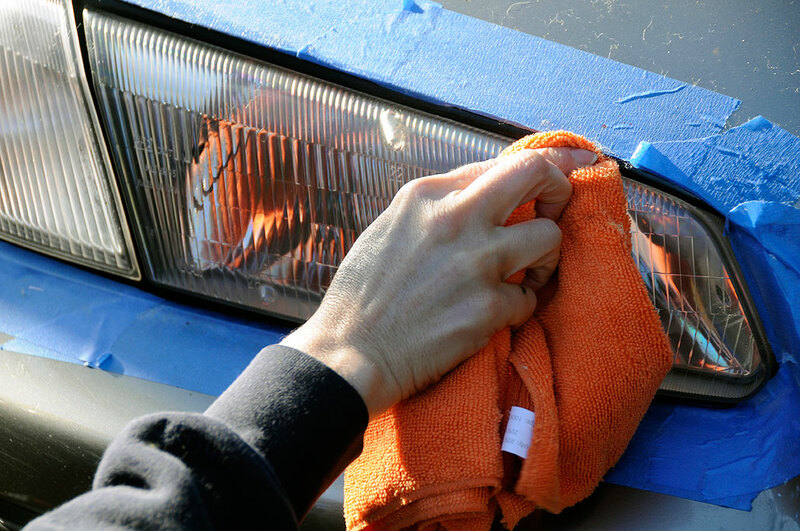 The last step is to wipe off any polish residue and apply the UV protectant with the orange cloth. The result was pretty impressive. The yellow haze from the headlight cover had been completely erased. The plastic is smooth to the touch and looks like new. Above are the before, after, and closeup of the polished cover. The difference is obvious. 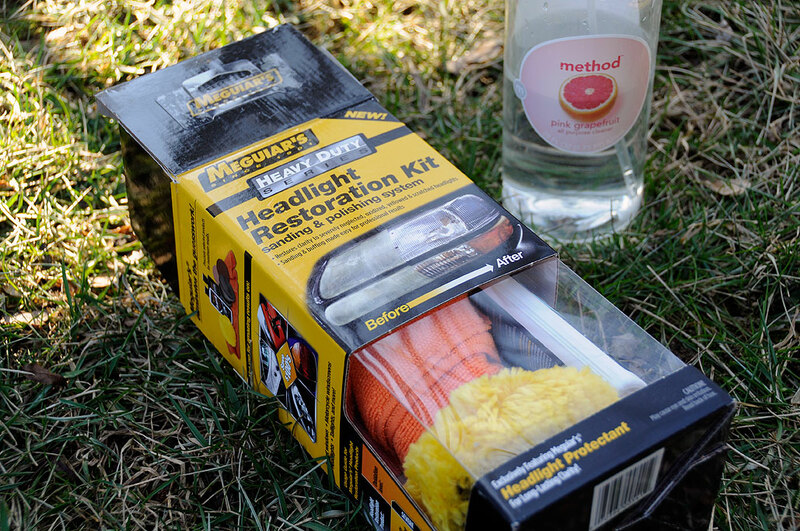 The Meguiar’s Headlight Restoration Kit performed as advertised, was easy to use, and very modest in price. We could not be happier with the results. If you have noticed a dimming of your headlights due to UV damaged plastic, polishing the cover is an inexpensive and easy DIY solution to the problem.